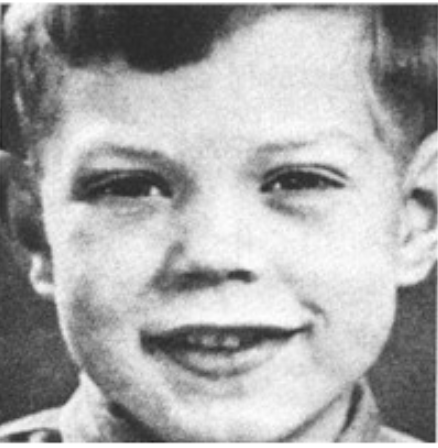 Jagger was born into a middle class family at the Livingstone Hospital, in Dartford, Kent, England. His father, Basil Fanshawe ("Joe") Jagger (13 April 1913 - 11 November 2006), and his paternal grandfather, David Ernest Jagger, were both teachers. His mother, Eva Ensley Mary (née Scutts; 6 April 1913 – 18 May 2000), an Australian immigrant to England, was a hairdresser and an active member of the Conservative Party. Jagger is the elder of two sons (his brother Chris Jagger was born on 19 December 1947) and was raised to follow in his father's career path. In the book According to the Rolling Stones, Jagger states "I was always a singer. I always sang as a child. I was one of those kids who just liked to sing. Some kids sing in choirs; others like to show off in front of the mirror. I was in the church choir and I also loved listening to singers on the radio - the BBC or Radio Luxembourg - or watching them on TV and in the movies." Jagger was born in Dartford, Kent, England to Joe and the late Eva Jagger, and he has a younger brother, Christopher Jagger. Mick discovered early rock & roll music during his teenage years and formed the band Little Boy Blue & the Blue Boys. In his late teens while at Dartford Grammar School for Boys, he met up with future Rolling Stones guitarist Keith Richards, who he had first met years before when they both attended the Wentworth County Junior School in Dartford.